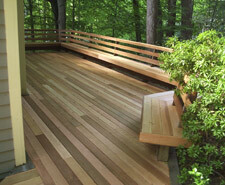 Perhaps the most frequently used and most noticed aspect of a homeowner’s backyard is their deck. Why not make it something to brag about at your next barbeque by using materials that will make your deck look, feel, and act like something different than the rest? 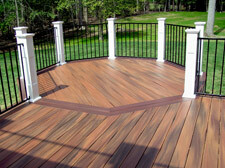 Resources such as natural and composite deck material and lighting are no longer hard to find, with a number of leading products brought right to your door. All vendors' products listed can be distributed in and around the areas of Laurel, Fulton, Highland, Columbia, Silver Spring, Clarksville, and Ellicott City, MD. Our full product line is also available via delivery to VA, DC, WV, DE, and PA.